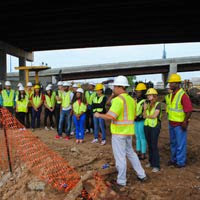 Engineering students tour the I-244 Multimodal Bridge in Tulsa, Oklahoma. 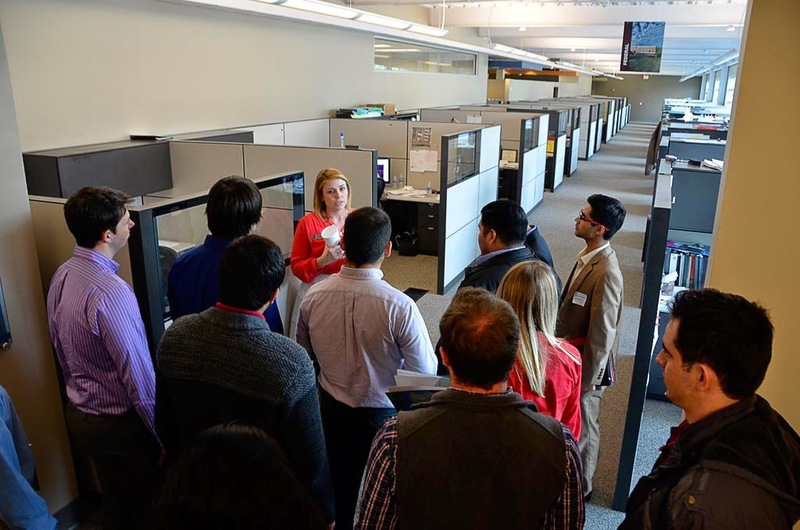 Incoming freshmen who plan to major in engineering at the University of Arkansas recently visited Garver’s Tulsa, Oklahoma office to get an idea of what the profession will be like. 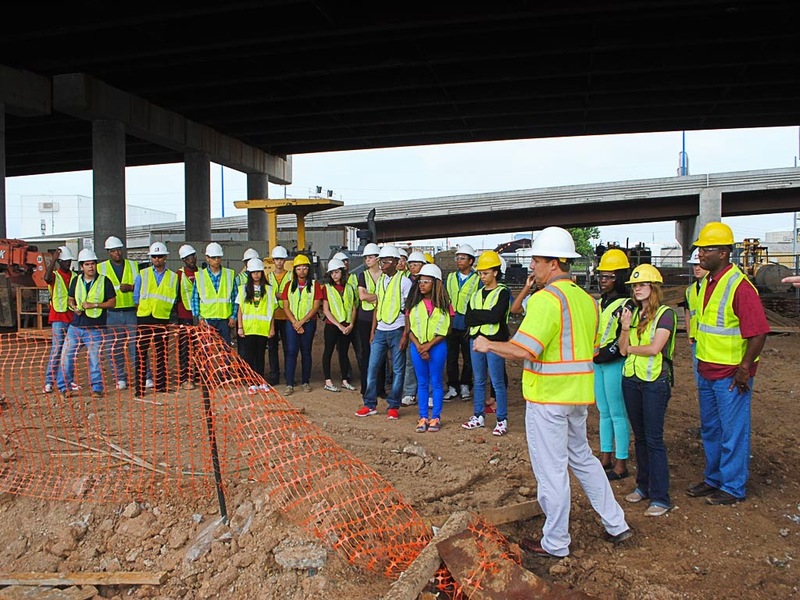 Garver’s Bridge Team Leader Jason Langhammer discussed the I-244 Westbound Multimodal Bridge over the Arkansas River with the students before taking them to visit the project site. The students are part of the university’s Engineering Career Awareness Program, which is an engineering diversity recruitment-to-graduation initiative to increase the number of underrepresented students entering and graduating from engineering disciplines. Project Engineer Pedro Maltos, who is a 2011 graduate of the program, helped organize the visit. Garver has a strong relationship with the University of Arkansas and that’s exhibited through multiple ways. Earlier this year, Brian Henderson, director of employer relations at the College of Engineering, brought a group of upperclassmen to Garver’s corporate headquarters in North Little Rock, Arkansas. 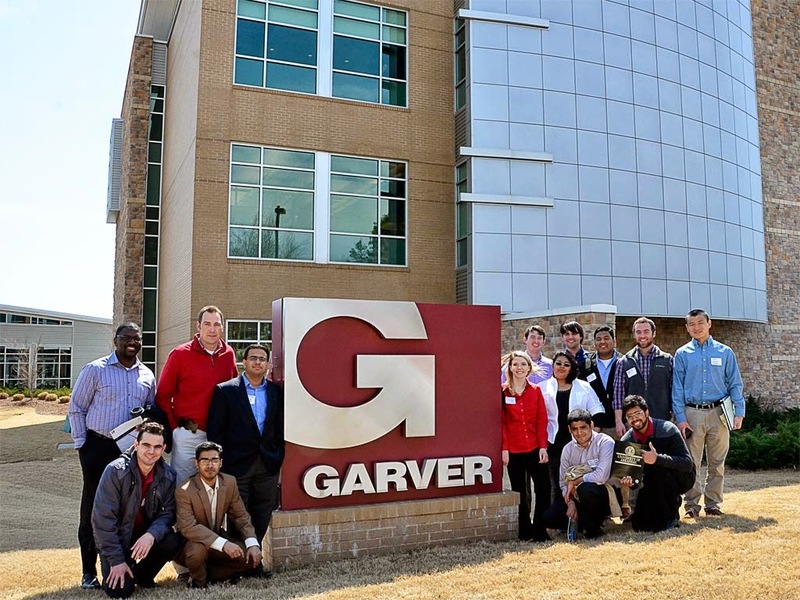 UA engineering students visit Garver headquarters in North Little Rock, Arkansas. The students spent time with engineers who each work on different teams within Garver full range of service teams—Transportation, Aviation, Water, Federal, Facilities Design, Energy, Development, Construction, Survey and AssetMax. Corporate Recruiter Wren Ward talks with future engineers at Garver headquarters. We rely on institutions like the UA College of Engineering to provide an educated and knowledgeable workforce to help Garver build and maintain the country’s infrastructure. If you think you’ve got what it takes, check out the current openings on our Join Us page.